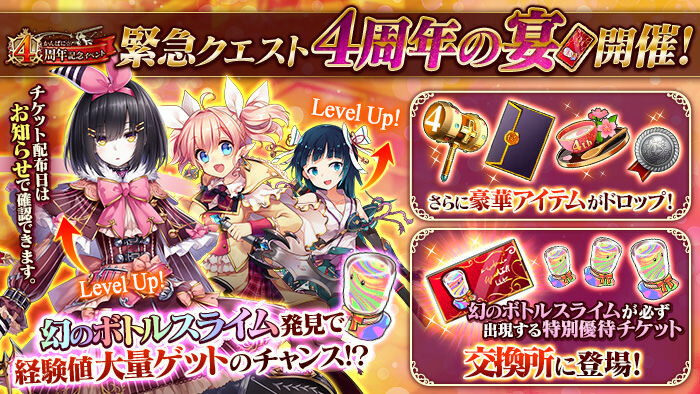 [Kanpani☆4 Year Anniversary Event] begins! 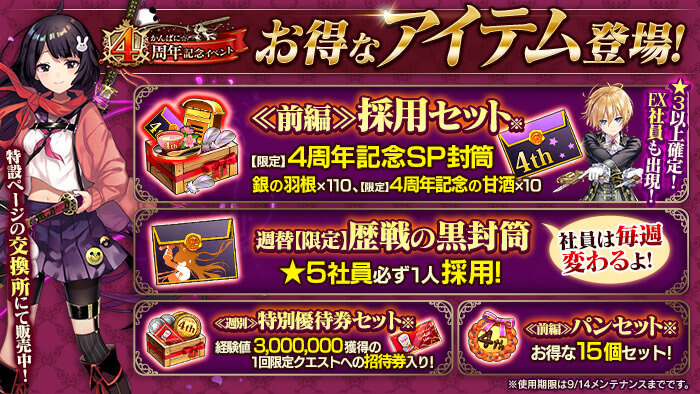 [Kanpani☆4 Year Anniversary Shinestone Purchasing Campaign] begins! During this period, the above five employees will have increased resume rates! 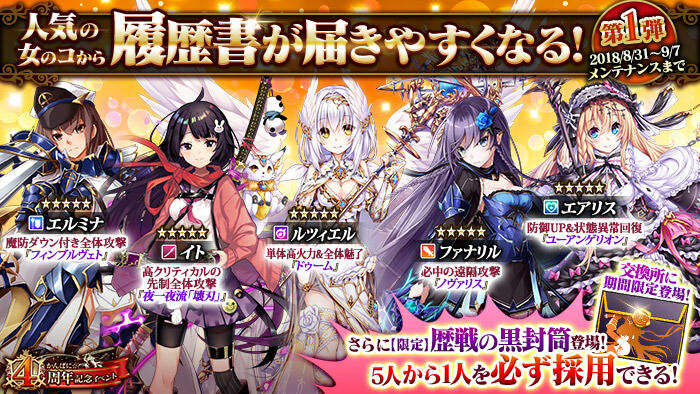 Until the 9/14 (Fri) maintenance, the above five employees will have increased resume rates. The [Company Office Building] facility's Maximum Employee UP purchase limits have been increased. 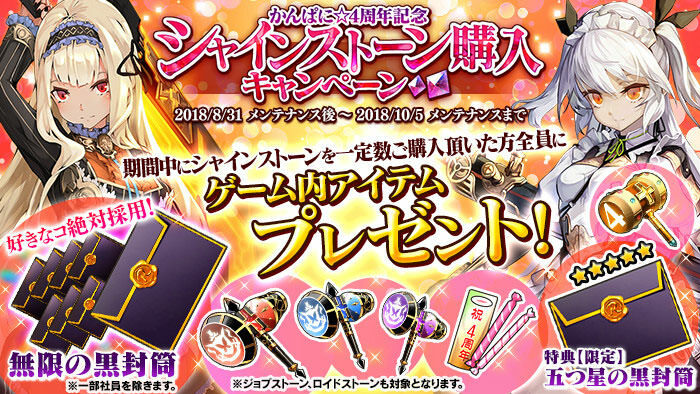 [Kanpani☆4 Year Anniversary Pre-Festival] has ended. 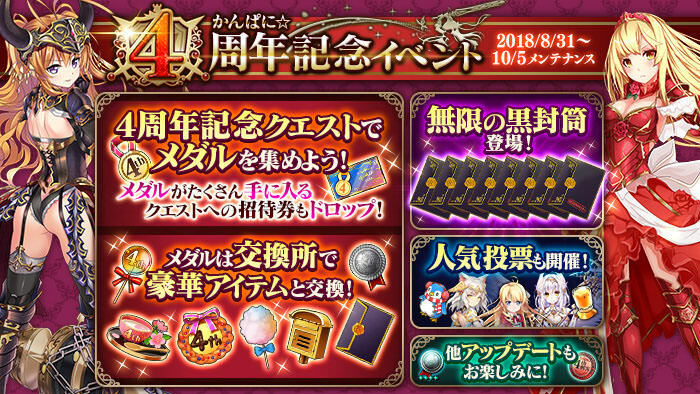 This is a much earlier than usual maintenance and will kick off the 4th anniversary. We are expecting new battlefield areas, 4th Career Up, new employees, and a new Monique version. Luciel EX should return in one of the weeks as well. Last edited by Folseus; 08-31-2018 at 06:40 AM.